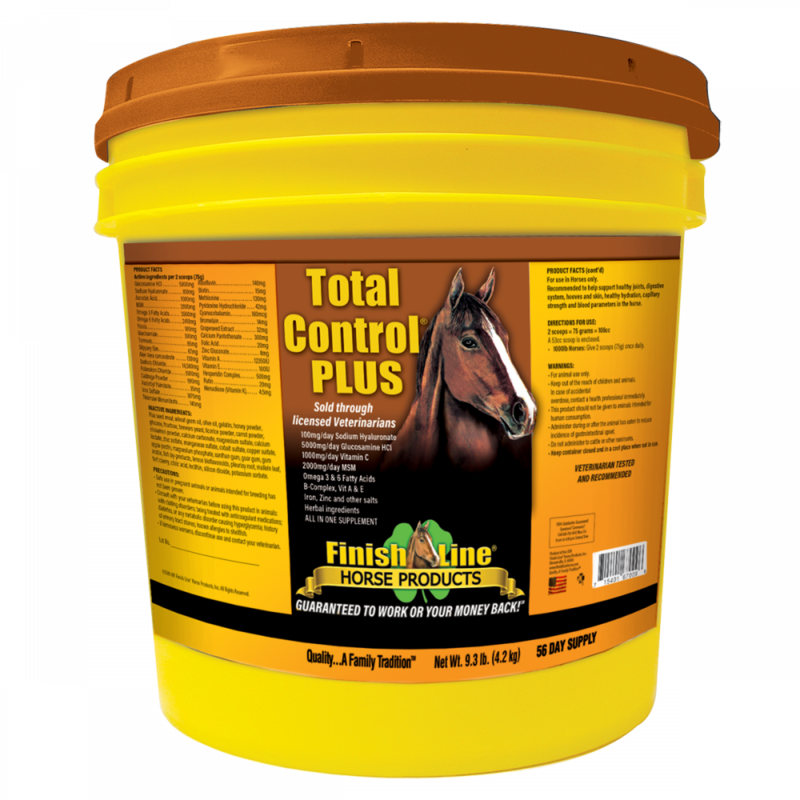 TOTAL CONTROL® PLUS is an all-in-one supplement designed with the performance and racehorse in mind. It is formulated to combine the active ingredients of six Veterinarian Approved Finish Line® Horse Products: Apple-A-Day™, U-7™ Gastric Aid, Fluid Action® HA, Feet First® Coat 2nd, Iron Power® AND XBL® Ultra – all into one palatable, daily supplement. With TOTAL CONTROL® PLUS, two scoops does it all! 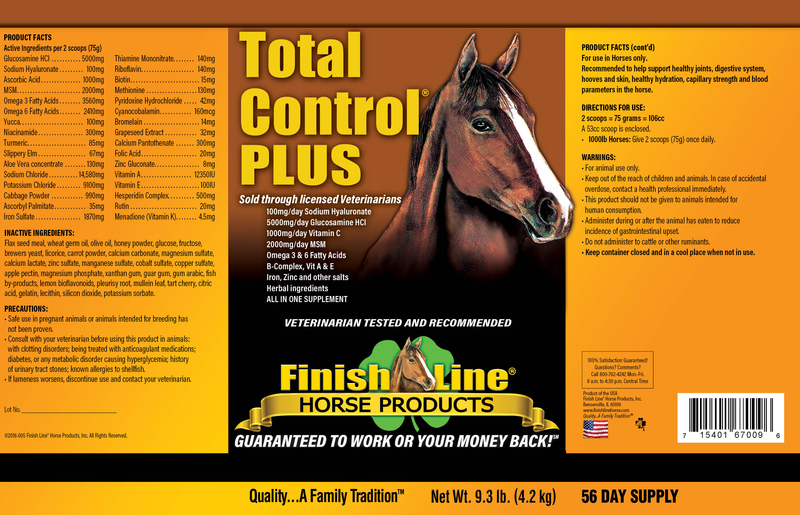 Quality ingredients and always in our barn. 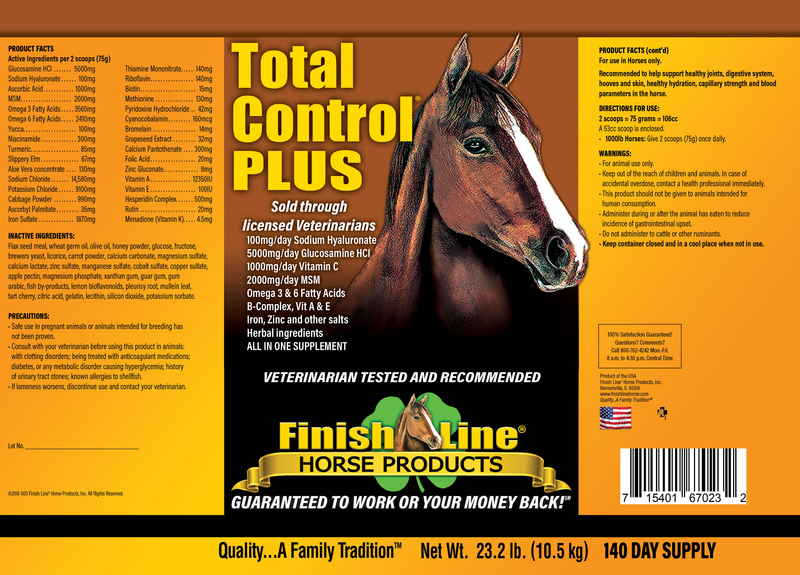 Horses react well to it and it helps with all systems I need To help them with.